Dr. Nguyen is always ready to greet her patients with a smile. She has extensive experience in treating patients of all ages, and places an emphasis on preventative dentistry, especially for her youngest patients. This means that from the moment your child comes in to see Dr. Nguyen, they’ll begin getting treatment and education that will follow them for life. She believes in continuing education, to be able to provide her patients with the best treatments options during these times of great technological advances. In addition to receiving an award for Excellence in Clinical Dentistry, she has also taken multiple elective classes in Sedation Dentistry, Orthodontics, Molar Endodontics, and Implants. This, along with her continuing education in Cosmetic Dentistry, has made her an extremely versatile dentist who is available to meet her patients’ vast variety of needs. Whether you’re looking for a cleaning, are in need of restorations, or are looking for a brighter smile, Dr. Nguyen brings the expertise, compassion, and passion needed to make sure you get the best care possible. 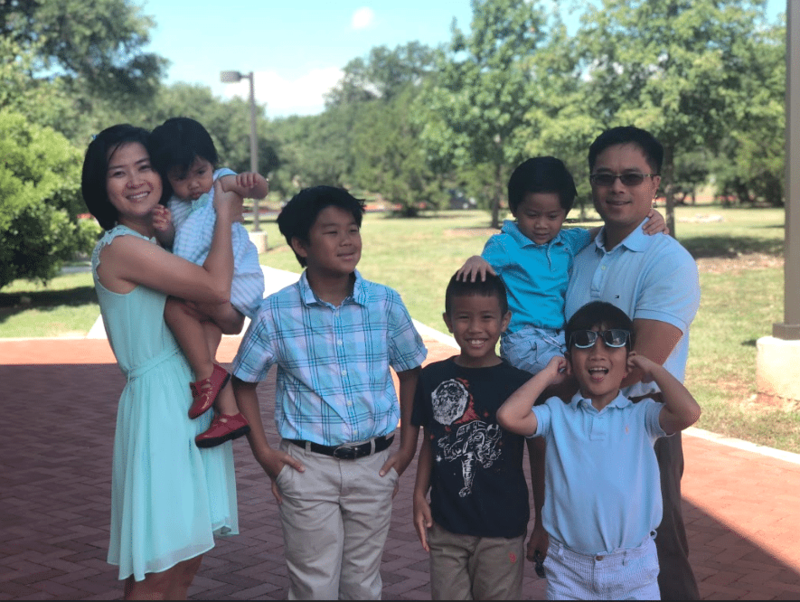 When Dr. Nguyen isn’t working, she enjoys giving back and has volunteered at Texas Mission of Mercy. In fact, she believes that by giving back she is not only a better dentist, she’s also helping to be a community leader who gives back and sets a positive example. If you’re looking for a dentist who can meet your entire family needs, give Grace Dental a call. We’ll be happy to take care of you.